Day 1 Day 01: Arrival in Kathmandu. Overnight at hotel in Kathmandu. The flight to Lukla, with a hair raising landing on a steep mountain runway, brings us to the village of Lukla [2900m]. After meeting the crew, we start our trek.We head up the Dudh Kosi Valley..
From Phakding, we cross and re-cross the river on high suspension bridges. 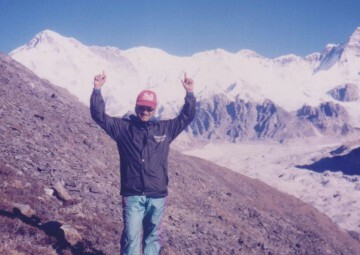 Beyond Monjo is the entrance to the Sagarmatha National Park. The park was set-up to conserve this fragile mountain environment. 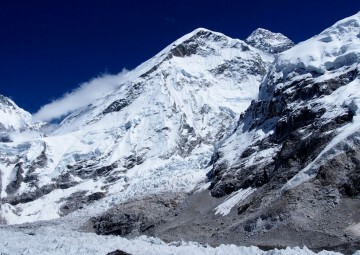 We then ascend steeply to Namche and along the way, if the weather permits, catch the first glimpse of Mt Everest . Namche is the main trading village in the Khumbu and has a busy Saturday market – a meeting place for the Hindu traders from the lowlands and the Tibetan yak caravans that have crossed the glaciated Nangpa La. Ascending from Namche Bazaar, we pass the airstrip at Syangboche and the Japanese-built Everest View Hotel. 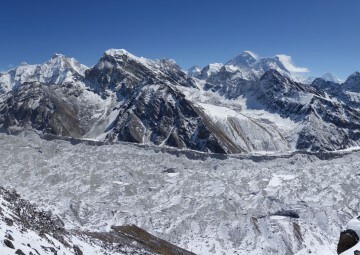 From the hotel, there are magnificent views of the valley and Everest. 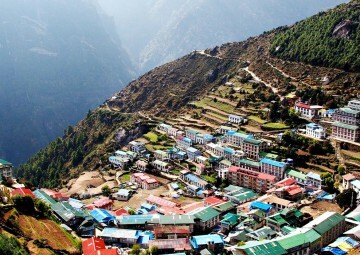 We walk to the picturesque village of Khumjung with many old traditional houses and a gompa at the top end of town. At the nearby village of Khunde, is the famous hospital built by Sir Edmund Hillary, an important center of health care in the region. Today’s visit include an excursion to Pangboche Monastery and the nunnery at Deboche. 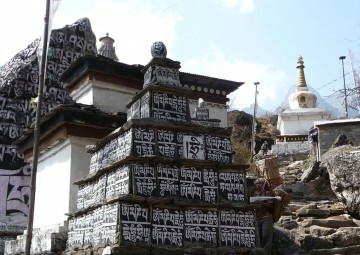 The monastery at Pangboche, founded in 1667, is the oldest in the Khumbu region. 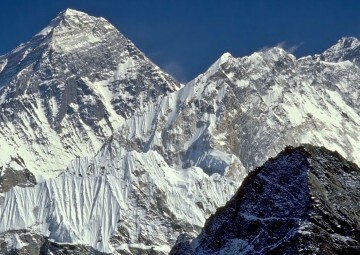 The magnificent views of Ama Dablam are a highlight of today’s walk. Our final day’s trekking follows the Dudh Kosi back down to Lukla. This last evening in the mountains presents an ideal opportunity for a farewell party with the sherpa guides and porters. We get to sample chang(local beer), try some Sherpa dance steps and end the trek on a merry note. Day 9 Day 08: Flight to Kathmandu from Lukla. Overnight at hotel in Kathmandu. After early breakfast and head to the airstrip for the return journey to Kathmandu. Trip ends and return back to your hometown taking the best memories of your lifetime………..
National Park Entry permits .